The Indian Premier League (IPL) 2019 auction will be held on 18 december ,2018 in jaipur. Last time it was held in Bengaluru anounced by BCCI on Monday . The auction will be held only for one day . In this season 1003 players have registered their names but among them only 346 players are listed for the 70 spots available in the eight Franchises. While the 50 slots are for indians players and 20 for the overseas players. 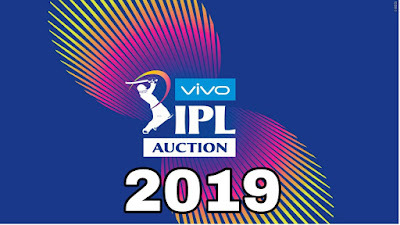 The IPL 2019 auction will starts on tuesday 18 December at 2:30 PM to 9 PM and will broadcast on Star sports network. The coverage will be spread on star sports 1, Star Sports 1 HD, Star Sports 1 Hindi, Star Sports First, Starts Sports 1 Tamil, Start Sports 1 Telwgu , Star sports select 1, Star Sports select HD. 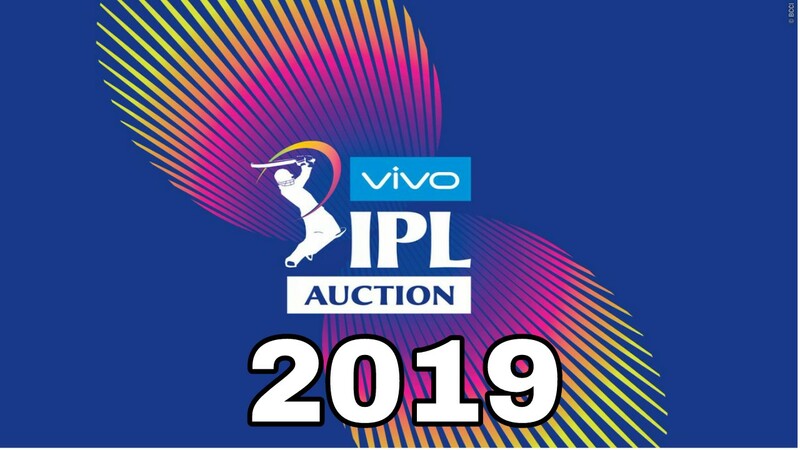 Also IPL 2019 auction live streaming will be available on hostar. The salary cap for each team has risen from Rs. 80 - 82 crore for the season. For the first time in 11 years, the IPL will see a different auctioner Huge Edmeades is set to replace Richard Madley.